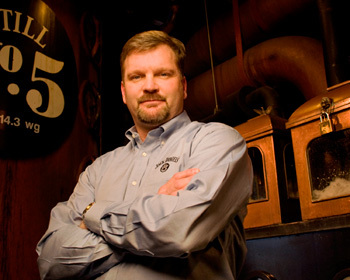 Jack Daniel’s is one of, if not the, most iconic spirits brands around and BarLifeUK had some questions for its master distiller, Jeff Arnett, when he recently visited the UK. Hello Jeff, and many thanks for taking the time to speak to BarLifeUK. BLUK: Our first question has to be about the difference between bourbon and Tennessee whiskey. Many people believe Jack Daniel’s to be a bourbon… Could you set the record straight for us? JA: According to US federal code, to be considered bourbon your grain bill must be at least 51% corn, your distillation proof cannot exceed 160, you must mature your spirit in a brand new, charred oak barrel, and you must have the character generally attributed to bourbon whiskey. The Jack Daniel’s Tennessee Whiskey process satisfies all of these statements but the last, and that is due to the addition of the charcoal mellowing process between the distillation and maturation steps. In 1941, the Motlows presented samples of Jack Daniel’s to the US government to be compared to all of the bourbons held on record, and after tasting the charcoal mellowed, new whiskey from Jack Daniel’s, they found that it didn’t taste like any of the bourbons. Based on this test, Tennessee Whiskey was officially established as a unique category of whiskey, and its sole difference from bourbon is that every drop of whiskey must pass through 10 feet of charcoal prior to maturation in the barrel. BLUK: Jack Daniel’s barrels are used in the production of a huge number of other spirits once their tenure in Lynchburg is over. Could you tell us how important the right barrels are in the production of Jack Daniel’s, and how many you use in a year? 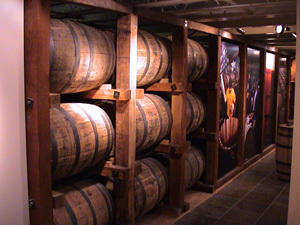 JA: Today, Jack Daniel’s is the only major whiskey distiller that manufactures its own barrels. We employ a wood buyer who purchases white oak logs from forests in the eastern portion of the United States, we quarter saw these logs at one of two stave mills that we operate in Ohio and Tennessee, and then ultimately fashion this oak wood into 300,000-400,000 barrels a year. We toast and char the barrel to bring out the optimal flavor, color, and character of the white oak. Because our entire color and over half of our flavor will come from the barrel, we feel that it is simply too important to our whiskey to trust someone else to make it for us. Manufacturing our own barrel insures the consistency we expect of Old No. 7 Tennessee Whiskey and Gentleman Jack, yet also gives us the ability to let subtle variations occur that can produce the range of flavors you will find in Jack Daniel’s Single Barrel. BLUK: Could you tell us a little about Gentleman Jack and Jack Daniel’s Single Barrel whiskeys, including how they are made and flavour differences to the core brand? JA: Our core brand of Jack Daniel’s Old No. 7 Tennessee Whiskey will be very consistent from batch to batch and bottle to bottle. It should have a nice vanilla or caramel flavor upon entry, should have a medium body at mid palate, and should finish with a punch of toasted oak. It should always be well balanced in its level of sweet and oak notes. 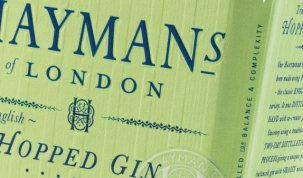 We produce this brand by hand selecting approximately 200 barrels that have matured in different floors of different warehouses to produce batches consistent in maturity and character. 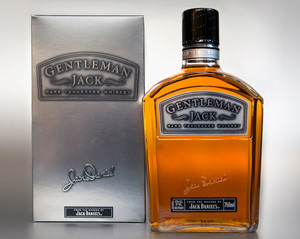 Gentleman Jack is similar to Old No 7 in that it is also produced from approximately 200 hand-selected barrels, but it is charcoal mellowed a second time after maturation and prior to bottling. This second mellowing will accentuate the sweet vanilla and caramel entry by greatly reducing the toasted oak finish. Gentleman Jack is always lighter in texture and sweeter on the palate than Old No 7, and today it is our fastest growing brand. A lot of Jack Daniel’s Single Barrel is hand selected by our master tasters panel and then tasted and bottled one barrel at a time to ensure that it has an excellent intensity of aroma, flavor, and character. Each Single Barrel matures in the Angel’s Roost (or attic) of its respective warehouse where temperature extremes will double the barrels angel’s share and intensify the barrel character into the whiskey that it holds. By bottling the barrels individually, each barrel gets the opportunity to place its own unique finger print of qualities into the whiskey guaranteeing that each barrel will be both special and one of a kind. BLUK: How do you drink Jack Daniel’s, and do you have a favourite cocktail? JA: I enjoy the entire Jack Daniel Family of whiskies, but my personal favourite is Jack Daniel’s Single Barrel on the rocks. After years of drinking Jack Daniel’s whiskey, I never tire of exploring the individual barrel character that this whiskey guarantees. Also getting the opportunity to travel portions of the globe, I always ask for the signature Jack Daniel’s cocktail at each restaurant or pub I visit. I’m always impressed with the versatility of Jack Daniel’s whiskey and the creative direction it offers a well versed mixologist. BLUK: Jack Daniel’s has an intimate relationship with Rock and Roll. Why do you think it was the drink of choice for Janis Joplin, Jim Morrison et al? JA: To me, Jack Daniel’s tastes exactly like no other whiskey. I believe it stands alone in a world where many other whiskies taste similar to one another. In the music world, I think people also want to be recognized as original, unique, and to avoid comparisons to other artists. This makes the choice of Jack Daniel’s brand a better fit to their personality. And then of course, there is simply the great taste that it offers that will maintain the relationship over time. BLUK: Cognac and Brandy seem to be the drink of choice for the hip-hop community, which some would say is the modern equivalent of Rock and Roll. 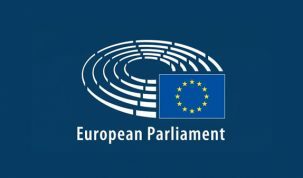 Do you have any plans to try and convert them? JA: I feel like Jack Daniel’s best opportunity to convert a drinker to our whiskey is to simply let them taste it and decide for themselves. We are confident that we can win someone on our quality and flavor alone if they are open to changing brands. As a global brand, we have done our best to responsibly reach out to anyone who was legal drinking age and wanted to know more about us. BLUK: Thanks for your time Jeff, and one last question: do you have a safe in your office? JA: Actually I don’t, but I do have the combination to the one in Jack’s old office that sits just across the lane from my office today. I went over the other day and opened the safe just to make sure that it would never get the best of me.